November marked another milestone as four employees celebrated a combined 100 years of service! 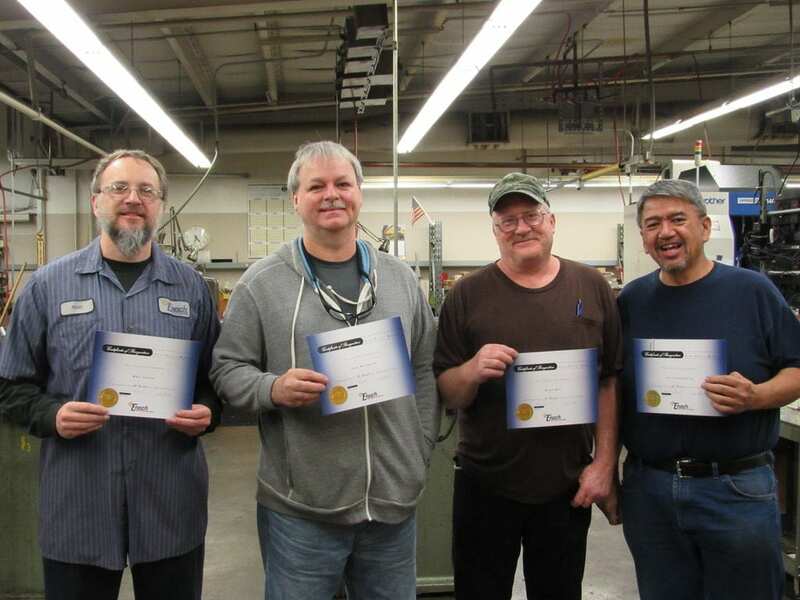 (l to r) Matt Schutt (10 years), Gary Richmond (30 years), Brian Bell (15 years) and Garry Eschweiler (45 years). We benefit from their experience every day and heartily thank them for their dedication to their craft and to Enoch. Congratulations on your first 100 years! !